During the year of 2015, I read a number of free ebooks on my Kindle that were of the historical or inspirational fiction genre. These made for light, fun reading in my limited down time. But it is the nonfiction books that really stand out in my memory as ones which made an impact, so I wanted to share their titles with you today. Not surprisingly, all three have a great deal to do with mothering. :) They made such an impact, in fact, that I will probably be re-reading them sometime in 2016! I grew up hearing this title touted by Christian parents as a wonderful book, and I now I know what they were talking about! Wow. 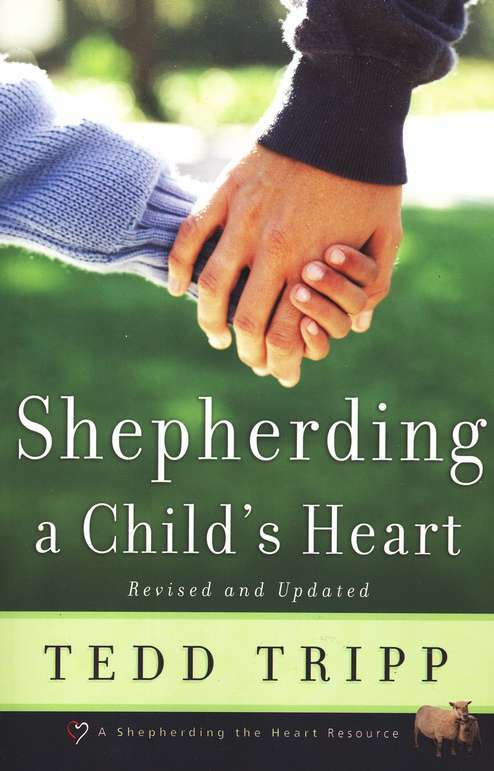 In an nutshell, Shepherding a Child's Heart is a child training book. However, it does not just deal with the what-to-dos and what-not-to-dos in order to produce obedient children. It focuses on dealing with the heart of Christian parents as they in turn strive to train their children's hearts, which then in turn, affects behavior. I love the incredibly gracious writing style of the author coupled with the depth of Biblical wisdom from which he writes. There is also a great deal of the practical shared in each chapter regarding the methodologies one can apply when training and disciplining their own children. There was so much depth and wisdom and helpful ideas contained in this gem of a book, I will definitely be re-reading it again this year to glean even more! Talk about stumbling over a treasure of a book! I saw this book come available for a free download to my Kindle on ereadergirl.com, and I am SO glad I decided to give it a read! Something about the story just resonated with me and I could not put it down. 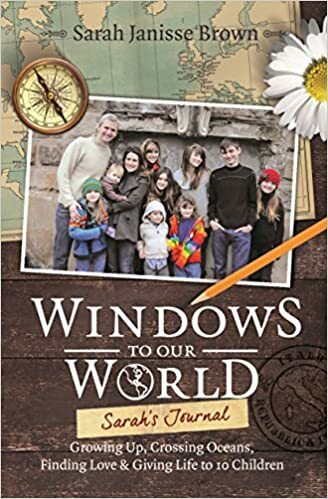 Windows to Our World is the modern-day biography of a delightful, joyful woman who loves Jesus, her husband, and family. Written in the first person, Sarah starts her story at the beginning with life in her childhood home, transitioning from public school to homeschooler, meeting her husband as a teenager and committing her love life to the Lord. Then, the story progresses into married life, lots of babies, homeschooling her own brood, trying her hand at homesteading, and finally, moving across the ocean into a short-term missionary life with her husband and ten children. Current updates and further writings are posted on Sarah's blog, so I feel like her story is ongoing, even after finishing the book. There are also video clips on her website about child training and homemaking that are a lot of fun. The whole book can be summed up as the story of a modern-day Christian wife/mom living joyfully for the Lord and making the most of her life no matter where she finds herself. It was a truly inspiring and refreshing read! This book was written by the sister-in-law of one of my best friend's sister-in-laws. (How's that for a roundabout connection?) I requested the book for Christmas, received it, and finished it within a few days' time because it was so engaging and practical to my season of life. 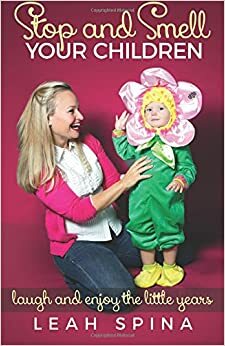 The end goal of the book is to encourage moms of little ones to love the little years and find everyday ways to delight in their children. I would say that this goal was definitely accomplished! Having three children under the age of three, I know firsthand how easy it can be to get so bogged down with the constant needs of each member of the household coupled with the ever-present household chores, laundry, meals, and dishes, that I miss the opportunities to connect with my children individually and take joy in all the little things throughout the day that tickle their fancy. This book provides practical encouragement to do just that! Those who are familiar with Rachel Jankovic's book, Loving the Little Years, will find this book to be written in a similar vein, though I must admit that I found Stop and Smell Your Children to be even more engaging. The author definitely has a flair for the dramatic such that the first several chapters describing her journey into motherhood seemed to be a bit on the extreme side of easily overwhelmed and difficult. I honestly could not relate to much that she wrote about in the first few chapters, but her sense of humor and storytelling abilities kept me reading. As the book progressed, however, I found myself nodding along with so much of what she wrote as a mother of young children. Her creative ideas for delighting in one's children are simple yet profound and have stuck in my memory every time I change a diaper, give a bath, drive with the children in the car, or take them outside to play. Ironically, it was Leah's chapter on keeping one's marriage a priority in the midst of mothering little ones that impacted me the most. While I know how important this is, I really appreciated her thoughts and ideas for the practical how-tos of making time for each other, keeping the love fires burning, and finding mutual areas of interest to participate in together. All-in-all, Stop and Smell Your Children was an enjoyable and timely book to read as I mother these little ones God has entrusted to me. I'm sure I will be turning to it again for encouragement and laughter on those days when I find myself in the trenches! What books made an impact on you in 2015? I would love to know! First of all, I'm so impressed that you still READ!! I told Jake that my goal for 2016 is to read a book a month, even though I've read that one a YEAR is admirable for mothers of littles...and then we sign up for an adoptive parenting course that has us reading SIX books in two months time, gulp! Secondly, thanks for the titles! The second one sounds amazing, and I loved Rachel Jankovic's book so am excited to hear of another similar read. Thanks for taking the time to read...and then write! "Trim Healthy Mama", written by sisters, as you already know!